Yesterday, the children and I went to the Malham Show. It take place annually in Malhamhide and is a traditional agricultural and family country show. So, wellies and tweed were the order of the day. My jacket is actually jersey, perfect for me because I find wool to be too itchy. It was from Joules last year and is available again this season in both brown and blue. 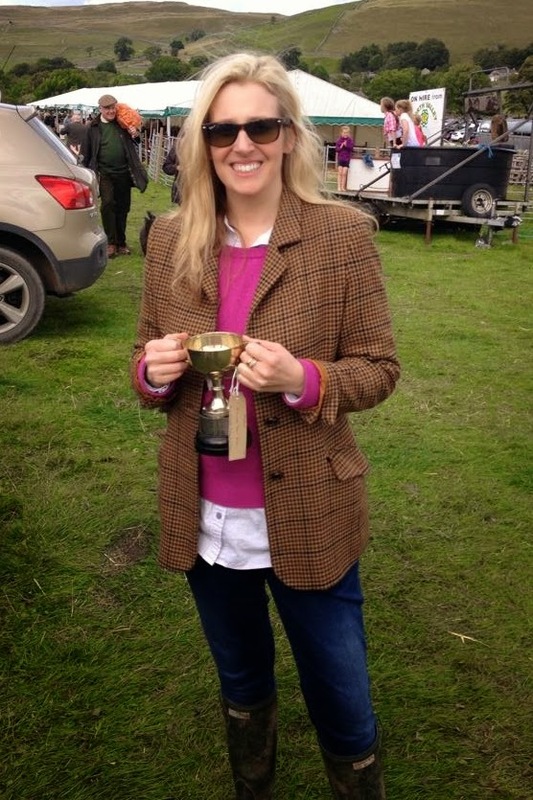 And here is my lovely new friend Leigh (whose outfit caught my eye at Sally’s wedding) with her trophy. She won first prize in the “Working in the Dales” category as well as most outstanding adult class photograph. 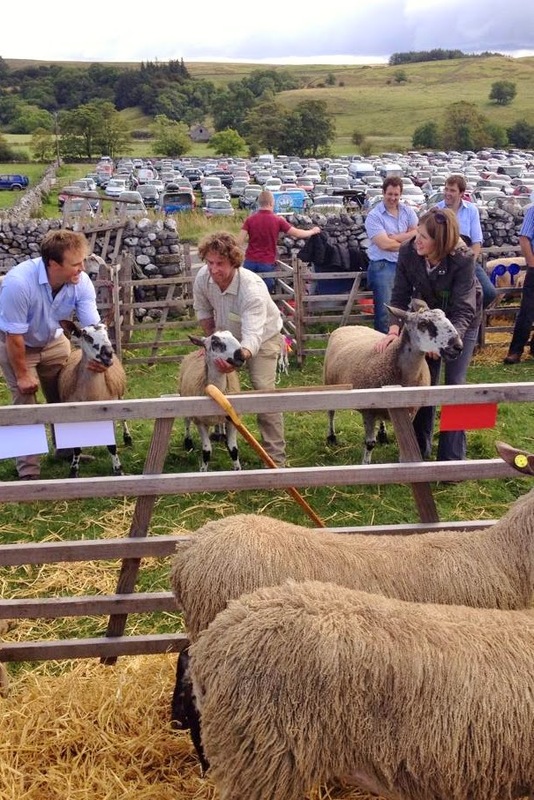 Below is her partner Neil with their prize-winning sheep too. Thanks to Leigh for letting me use these two photographs. Small Bayswater Cookie Cutter Satchel in oak, Mulberry. 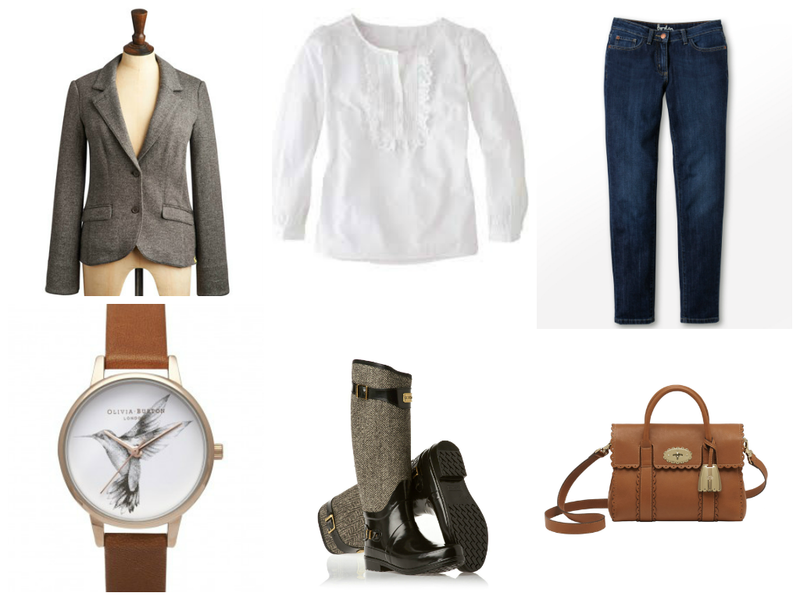 Lovely outfit, perfect for a country show.. we visited one in The Lakes a few wks ago – they're great aren't they? Lovely pictures, boots and place! OMG … totally fabulous! Those tweed Hunters!! WOW!